Didn’t see your sales channel? No worries, you can now bulk import orders for all shopping carts and marketplaces. Simply add an new manual channel, configure your import file’s settings and select the file to import your orders. Set up a minimum account balance threshold and have Skubana auto-replenish your postage amount! 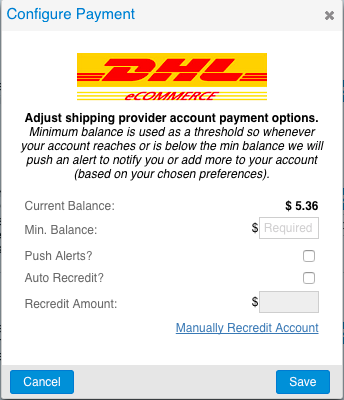 Navigate to the Settings tab → Shipping Providers and click configuration payment under your Endicia account. Shipping just got a whole lot easier! Pick, pack and print shipping labels directly within the same orders tab. Hover over your queue, after successfully processing your shipments, to print or download your pick list, packing slips and shipping labels. 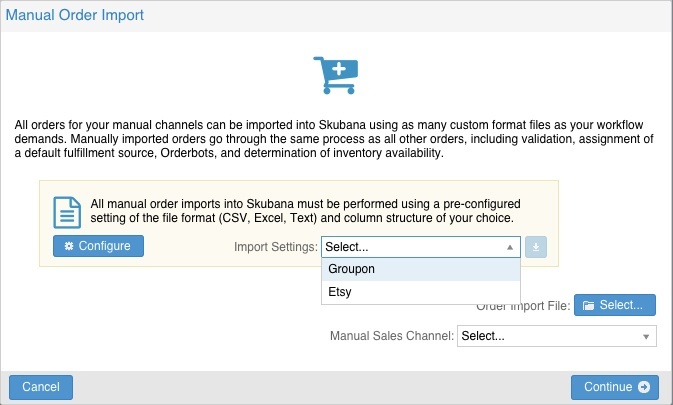 If you sell on Amazon, Skubana can now show your FBA inventory quantities to your merchant fulfilled listings! Navigate to the Settings tab → Sales Channel to select this feature on your Amazon integration. Set inventory dependent warehouses for calculating inventory replenishment features such as sales velocity and automated purchase orders. Navigate to the Settings tab → Warehouses. On the dropdown on the appropriate warehouse → Inventory Dependents. Ex. 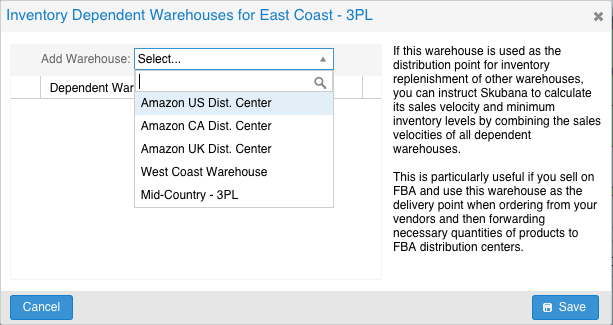 If your inventory is prepped at your “East Coast – 3PL” before being distributed to your Amazon FBA Centers, then you would make all of your Amazon FBA Centers dependent on the “East Coast – 3PL”. Now you can include a return shipping label with all of your shipments. Postage is only deducted from your postage account if and when your customer puts the package in the mail stream. So, if your customer doesn’t return an item, you are never charged for the postage! Contact your Endicia representative to enable this feature on your account. Skubana is now fully integrated with Express 1 to provide discounted postage rates on USPS Priority and Express Mail. These rates are better than the standard Commercial Base rate many popular USPS categories! Get Commercial Plus pricing by connecting your Express 1 shipping account to Skubana today. Growing internationally? Outsource your warehouse with a direct integration to your overseas 3PL warehouse. Automate your order export, and tracking and inventory import using our 2-way FTP. 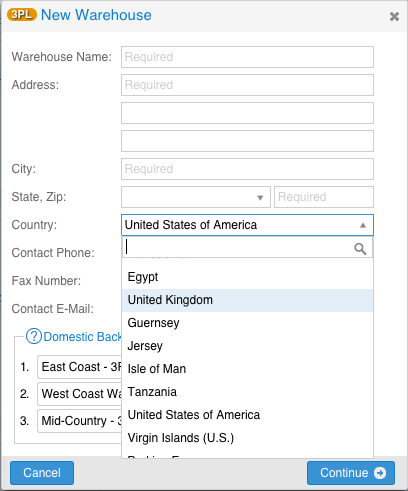 Navigate to the Settings tab → Warehouses to add an international 3PL. Doing inventory cycle counts, building an FBA work-order or want to easily update inventory quantities? Download your inventory from any warehouse including Amazon FBA. 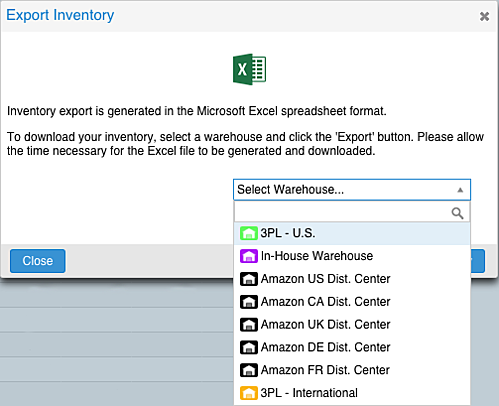 Navigate to the Inventory tab → Import/Export → Export Inventory to select the warehouse you want to export inventory from. Input an optional shipment date with your manual shipments import in Column G. Navigate to the Orders tab → Import/Export to download your configured import mapping.